CEB's wholly owned subsidiary, Cebgo, now flies daily between Manila and Masbate; and four times weekly (Monday, Wednesday, Friday and Sunday) between Manila and Tablas, utilizing the newly-received ATR 72-600 aircraft. "CEB is very excited to begin flying to and from these destinations, knowing this move will provide everyjuan a more convenient travel option. We are especially pleased to be the only airline flying to the Marble Capital of the Philippines, Tablas, Romblon, on top of offering more seats available to and from Masbate. We believe that both leisure and business travelers alike will take delight in visiting these two places to further stimulate trade and tourism," said Alexander Lao, Cebgo President and CEO. "Furthermore, we are happy to enable residents from Masbate and Tablas to travel easily to Manila and connect to onward destinations, be it domestic or international," added Lao. 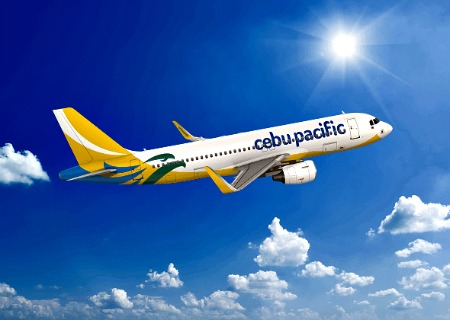 CEB's lowest one-way all-in year round fare for Manila to Masbate is PHP 1,879 while Manila to Tablas is PHP 2,439. Likewise, the addition of these new routes will establish stronger cargo services within the area of Luzon, specifically in the Bicol and MIMAROPA regions. Aside from Manila, CEB also operates flights out of five other strategically placed hubs in the Philippines: Cebu, Davao, Clark, Kalibo, and Iloilo. CEB's 58-strong fleet is comprised of four Airbus A319, 36 Airbus A320, seven Airbus A330, eight ATR 72-500, and three ATR 72-600 aircraft. Between 2017 and 2021, CEB expects delivery of one more brand-new Airbus A330, 32 Airbus A321neo, and 13 ATR 72-600 aircraft. Its wholly owned subsidiary, Cebgo, currently offers flights to 27 Philippine destinations utilizing an exclusive fleet of eight ATR 72-500 aircraft, and three ATR 72-600 aircraft. Cebgo has two strategic hubs in the Philippines namely, the Ninoy Aquino International Airport (NAIA) Terminal 4 in Manila and Mactan Cebu International Airport (MCIA) in Cebu.